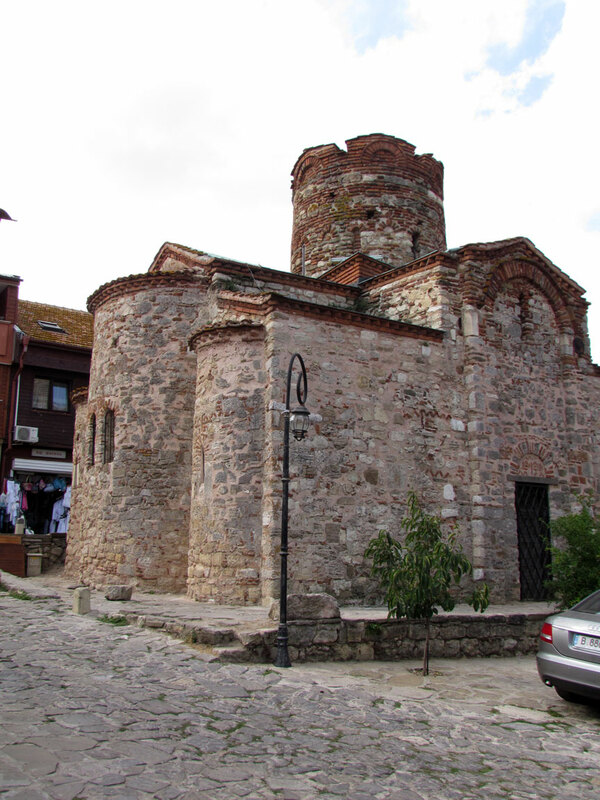 The Church of St. John the Baptist is a domed cruciform church, built of undressed stone. 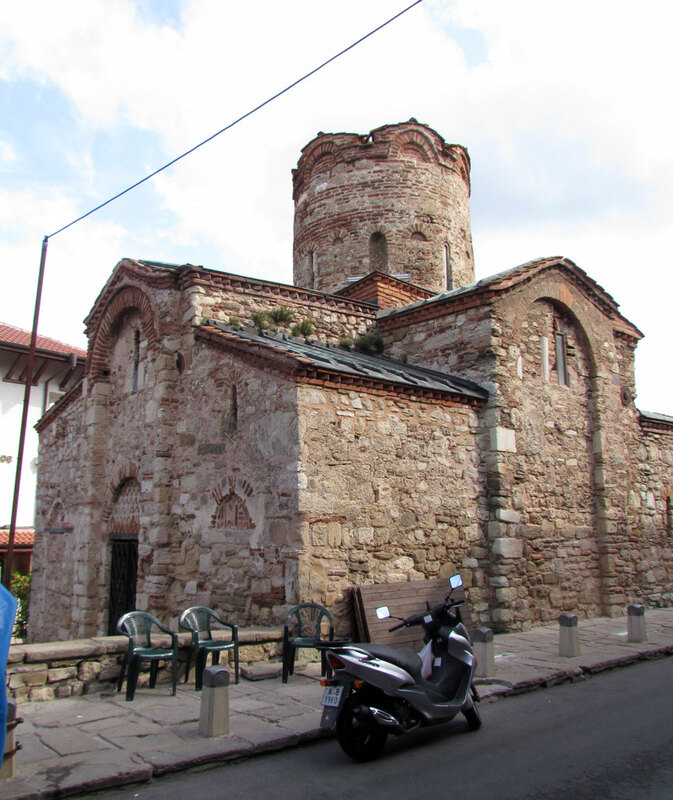 It is one of the best preserved churchs in Nessebar. It is 12 meters long and 10 wide. 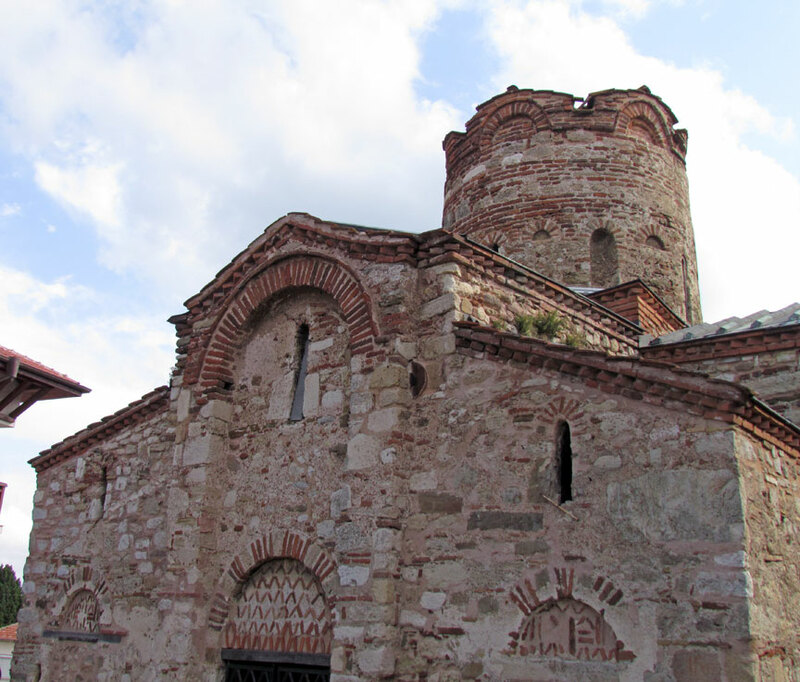 The structure of the church consists of two cylindrical vaults which intersect in the center of the composition. 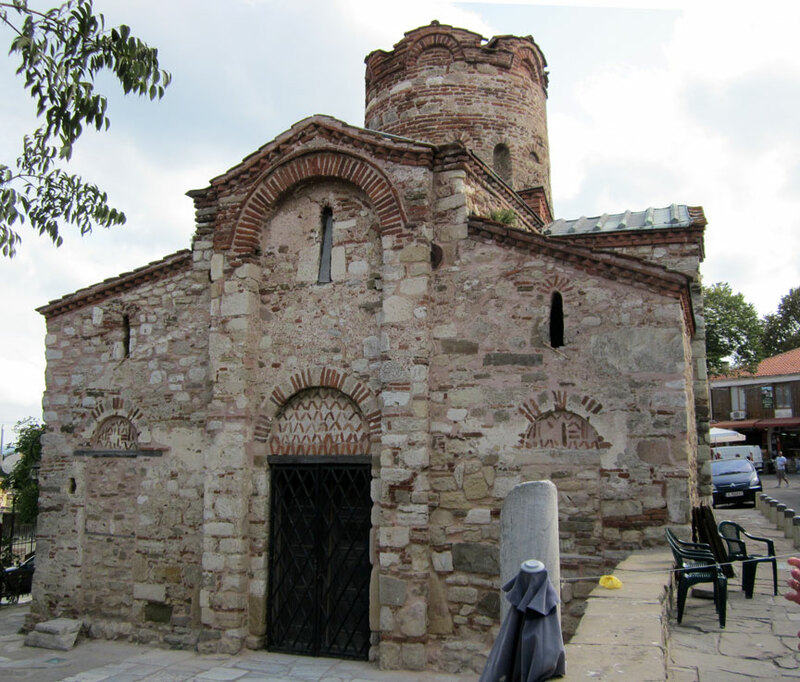 The masonry is crushed stone and pebbles and the facades were probably smoothly plastered. 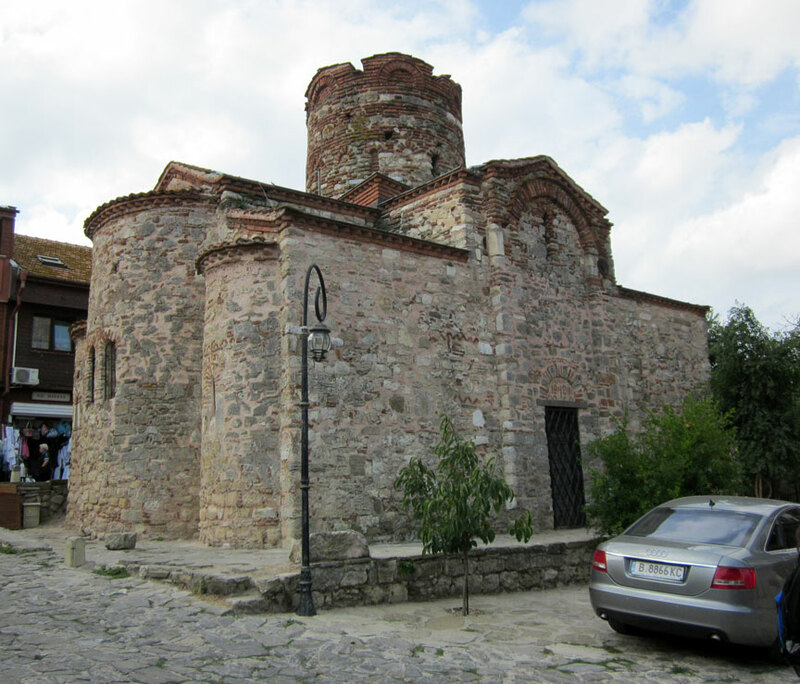 It was built in the 10th century. 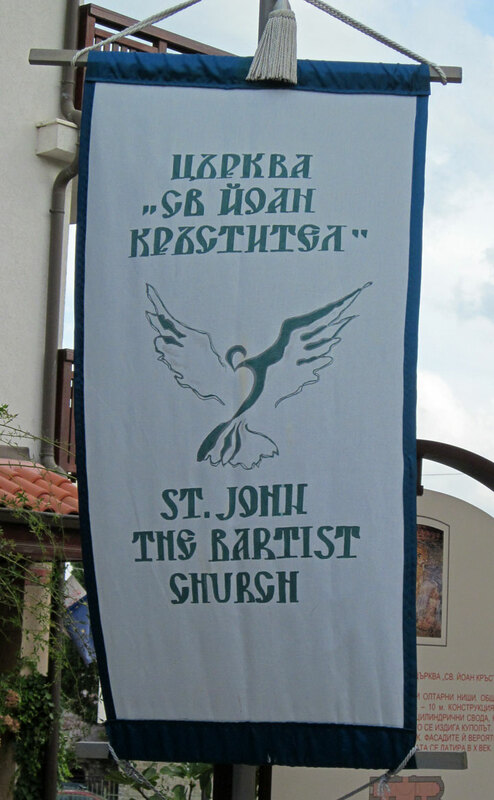 It has no narthex. The altar space consists of three semi-circular apses. 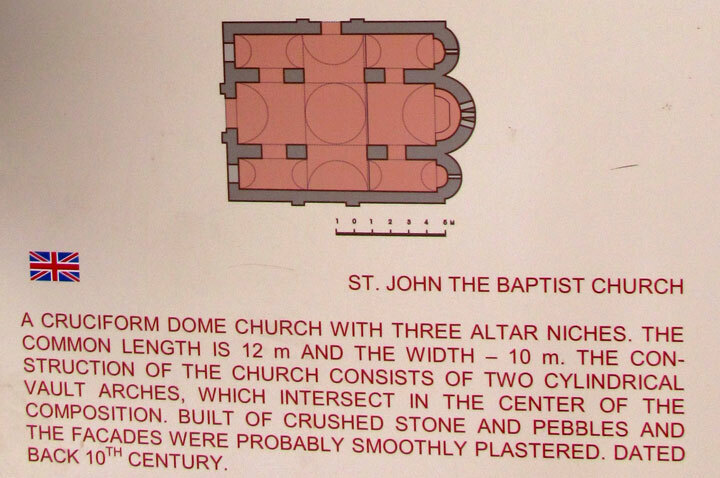 Four massive pillars support the dome and form the cross. Inside the church the walls are smooth and unbroken. 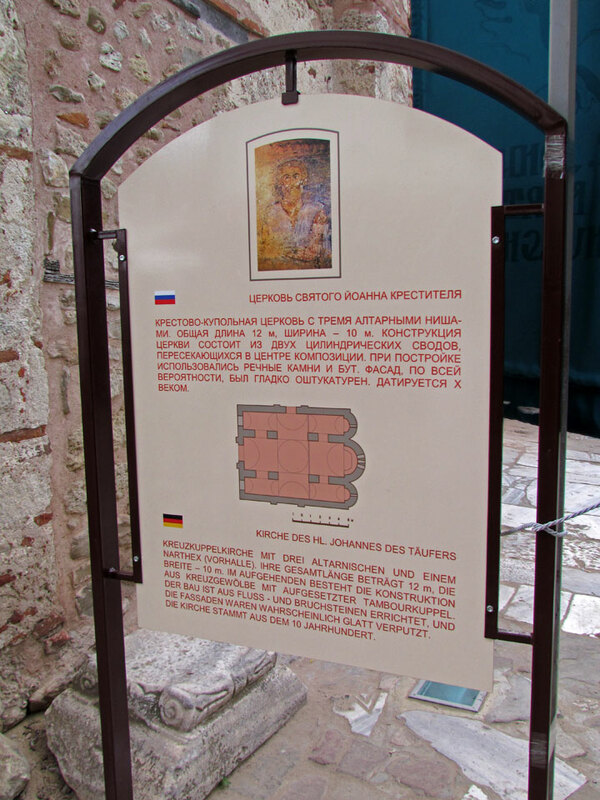 The exterior is simple without decorative niches and ceramic plaques, typical of the ornamental style. Bricks were used as a decorative element over the entrance, in the jagged cornices and around the windows. Some frescoes in the church have been preserved dating from later periods. The faded portraits of the donor and his contemporaries on the southern wall and the fragments beneath the dome date from 14th c. and the others are from the 16th and 17th centuries. 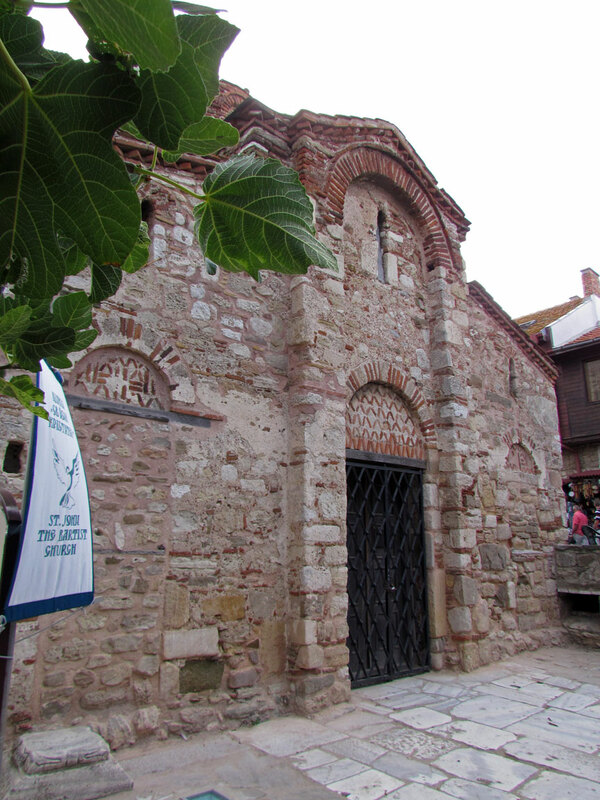 One depicts St. Marina pulling a devil from the sea before braining it with a hammer — possibly representing the local merchants' hopes that their patron would deal the Cossack pirates who raided Nessebar in the 17th Century A.D.
Today the church houses a gallery.